"On Christmas Eve we eat food like pozole and tamales, then on Christmas day we open presents and just spend the day with family," Zayury Ochoa, 10, said. "On New Years we cook steak and watch football with the family, it's great," Dakota Norris, 10, said. 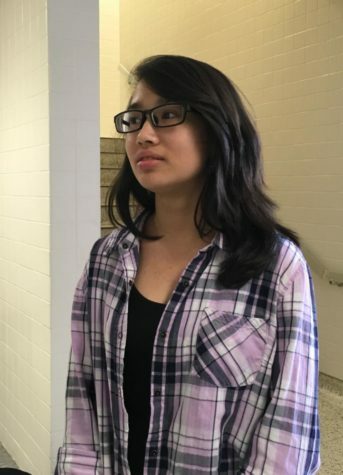 "The Seniors will obviously win because [of] seniority," Lilian Nguyen, 12, said. "It's our last year, so it makes sense." "Over the holidays, we host a motorcycle soccer tournament at our farm," Football coach, Don Card said. "We play soccer on motorcycles, hence the name." "I think algebra 2 is going to be the hardest final, in general math isn't my subject," said junior Misty Rico. "Over the Thanksgiving break me and my family are going to unite and spend Thanksgiving with each other," Ricardo Castañeda, 10, said. "We're also going to eat food like turkey and all that other good food." "First semester is going horrible, it's not enough school sprit, [and] no one comes to the football games," Junior Bobbi McCauley said. “I started a new journey as an educator [over the summer],” Tiffiani Cofield, photojournalism teacher.